John E. O’Donnell & Associates, Inc. is a municipal consulting firm specializing in contract tax assessing, tax equalization (revaluation), and tax mapping. 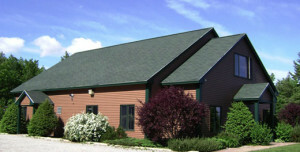 The company is located in New Gloucester, Maine. It was founded in 1961 by John E. O’Donnell Jr.
John E. O’Donnell & Associates has completed over 125 original tax mapping projects in New England, and 90 tax equalization programs in Maine. Almost 40 Maine towns use O’Donnell & Associates for annual tax assessing work. The company’s software products include tax assessment, tax billing and collection. In addition to tax assessing and mapping, services include geographic information systems, digital mapping, tax billing, and assessment training. The State of Maine uses the company’s Property Tax Manager Tax Billing and Collection system in the Unorganized Territory. Founder, John E. O’Donnell, Jr. In November 1961, John “Jack” O’Donnell opened his own consulting business offering municipal planning services, plus zoning, general, and tax mapping. 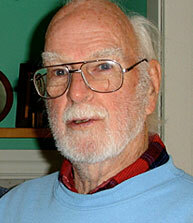 Jack graduated from Dartmouth in 1943 and received his Masters Degree from Yale School of Forestry in 1948. He came to Maine to work on timberland management in the North Woods. His background in surveying and mapping led to work in many different parts of Maine. He was a Charter Member of the Maine Society of Land Surveyors, who awarded him a Life Membership in 1992.